We have always been warned of the bad effects of sugary foods on our dental health. All the signs are up yet we still can’t help but reach for that favorite snack on the grocery store. You can tell the state of people’s oral health with what you can see on their grocery bags. Dentists worry about how our food choices prejudice not only our chances of having healthy teeth but having healthy bodies as well. Consuming fresh and healthy produce can definitely change the tides for the benefit of our dental health. For those who have gum and teeth problems, no fruit comes to mind other than the ever dependable apple. 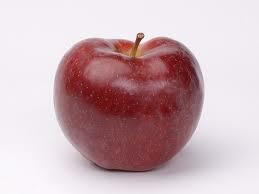 An apple is readily available and can be found in any supermarket. The saying an apple a day really does make sense since the benefits from one apple range from oral health to other organs of the body. As you eat an apple, the chewing process gently stimulates your gums. Your teeth will experience one of nature’s natural toothbrushes. The fiber in apples helps scrape away food particles stuck between gums and teeth that can, later on, be food for bad bacteria. The bad bacteria in your mouth thrive on sugar and carbohydrates that is left in your mouth. 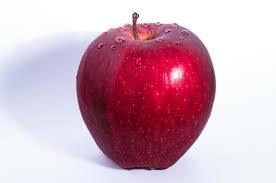 Eating an apple not only scrape the food particles but the bacteria that causes plaque as well. Even small amounts of plaque can be brushed away by the simple apple. As you eat further, your salivary gland will be triggered to produce more saliva. Secretion of more saliva means that it would be hard for the bacteria to proliferate because saliva keeps the alkalinity of the mouth. Needless to say, eating an apple is bad news for bacteria. These bacteria are the main cause of plaque formation, bad breath and eventual tooth decay and gum diseases that affect our oral health. Not only does it do its magic on bacteria depletion but it also keeps our teeth and gums healthy. The Vitamin C in apples are key to boost the immune system thus improving our gum’s chances of avoiding infection. Without it, our gums would be prone to infections and sensitivity. You wouldn’t have to worry about having sensitive teeth or bleeding gums that usually causes difficulty in brushing, eating and speaking with other people. In eating your apple, be sure to wait for an hour before brushing because it is also acidic. This means that the enamel on your teeth are slightly brushed too so it is softer. Drink water after eating an apple to wash away the acidity it left in your mouth as well as food particles left in your mouth. Always remember that healthier gums mean healthier teeth, be sure to grab an apple on your trip to the grocery store or supermarket. Steer clear of processed food and enjoy the benefits of natural and fresh produce such as the apple. An apple a day helps your gums slay. Find out more of your oral health by employing one of the top dentists in Columbus Ohio.